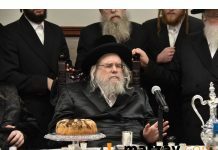 During a recent meeting of the American Hanhala of Chinuch Atzmai at the renowned Mesivta Tiferes Yerushalayim (MTJ) in Manhattan, the Rosh Yeshiva, Rav Dovid Feinstein, warned of a dire threat to the continuity and growth of the Chinuch Atzmai Kiruv School system in Eretz Yisroel. Currently, the 115 Kiruv schools provide a lifeline of Torah and Yiddishkeit to 30,000 students from irreligious and traditional homes. 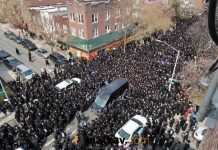 As a result of anti-Torah school transportation legislation, many thousands of these students may lose their school transportation and will c”v revert back to their local secular public schools. The Gedolei Yisroel stressed that the only antidote to this threat is to support Chinuch Atzmai’s Keren Kiruv fund. 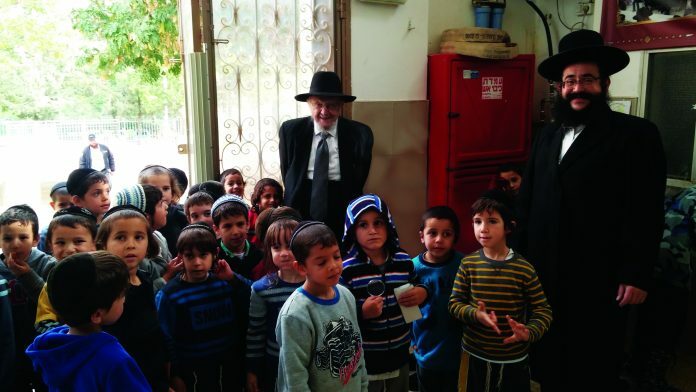 The Keren funds the transportation for these children from poverty stricken and irreligious families thus enabling them to attend a Torah school and brings them, and in many cases their families, closer to a life of Yiddishkeit. The cost of subsidizing a child’s transportation to and from a Chinuch Atzmai Kiruv School is only $30 a month. 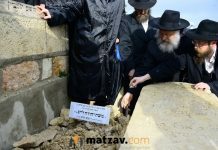 “Chinuch Atzmai’s Keren Kiruv will undoubtedly have Hatzlacha in North America, where one can save a neshama at a bargain of only $30 a month,” said Rav Dovid. Shouldn’t the American community focus on America first? sraeli gedolim wants our money to make their flocks great. It is a bargain because in the 1970’s it costs a lot more believe me a lot more. I found the contact information, and will share it so you can also take on some of these precious neshamos. I did it online at chinuchatzmai.org, but you can also call them at 844-44-KIRUV. Shame on you then! Everyone always sending money to Israeli Kiruv/causes! How many children have to have no option when thrown out of Yeshiva? Or not a accepted. Send your money to help American children! @Anonymous – “Shouldn’t the American community focus on America first?” In the din of aniyei ircha kodem aniyei ir acheres, I am quite certain that aniyei Eretz Yisroel have a din of ircha. Is this tzeddaka for starving children or kiruv? Does that lead to the same result? Generalizing the term tzedakka? What qualifies?